Fresh on the scene, the Samsung Galaxy Note 3 is already on its quest to hopefully set some new sales records in the phablet space. For any new owners of the prized smartphone, they’re probably thinking about protecting the smartphone right from the onset. Like seriously, that’s the ideal thing to think about when you’re making that purchase and walking out the door! Call it perfect timing or something else, but premium accessory maker Spigen already has something ready for the behemoth in the form of the Bounce case. Now, we wouldn’t say that it’s the most ornate or protectively sound case we’ve seen from the accessory maker, but for those who have a budget and require nothing more than the base protection, this particular one seems like the ideal solution – mainly because it’s priced to sell for $11 right now through Amazon. First and foremost, the Spigen Bounce case for the Samsung Galaxy Note 3 is extremely form-fitting, to the point that it tightly holds onto the handset from all sides. Better yet, the form-fitting nature of the case adds minimal bulk to the already streamlined phablet. Constructed out of this flexible, durable, and elastic thermoplastic urethane material, it has a noticeable rubbery finish, but unlike the soft touch matte finish of some other cases, this one actually feels a bit more slick in the hand. Therefore, it sometimes feels as though the phone is slipping if we don’t grasp it tightly enough. Generally speaking, the cross shaped patterned design of the rear isn’t particularly astounding either – we would’ve preferred something ornate to have a more profound appeal. Naturally, the case is sturdy enough to protect it from minor things such as scratches, but we’re sure the phone wouldn’t look too pretty if it were dropped from a lengthy height. On top of that, the display of the Note 3 is unprotected and left exposed to the elements – so it’s prone unless you get some kind of solid screen protector. As a whole, the Bounce case has this “flat” design around its bezel. Specifically, the power button and volume control are uniformly flush, but they still have a good amount of feedback when pressed. Predictably, cutouts are found for the camera, 3.5mm headset jack, microUSB port, and S Pen – so everything is easily accessible. However, due to the slim cutout of the 3.5mm headset jack, some larger sized headphones cables might not fit. For that specific scenario, you’ll need to either remove it from the case entirely, or simply use an adapter. Ultimately, the Spigen Bounce case is nothing more than a basic protective thing for the Galaxy Note 3. It’s a minimalist case obviously, but at least there’s some consolation knowing that it’s on sale right now for a mere $11 – down from its normal price point of $20. Wow you really gave this a beat down review. Price cut almost in half is good, probably was only worth $11.00 to begin with. NONE of these smartphone cases (especially those constructed of rubber of plastic) are worth any more than US 11.00 or so. Just go to eBay and get one of the infinitely more functional/protective back replacement flip-view cases for around the same price, as those are what the Galaxy Note 3 is all about. I like this case. It is reasonably good looking, especially the volume buttons and edges. For the price and design, this case seems pretty legit. I would buy it, especially not having many other options (considering the fact that the phone accessory market is pretty much dominated for Apple >.< ). I got it for 5$ of Amazon. The week before the note 3 went on sale at T mobile. Spigen makes really good cases. i'm rocking a Slim Armor S (in White for those that are interested) on my black/grey 5S and i love it. i didn't even know this case existed for the Note 3. i was just on their site today looking at what they have available for the Note 3 because i was going to get one for the Note 3 i'm getting my Dad. it's okay though because i'm more interested in the Neo Hybrid. 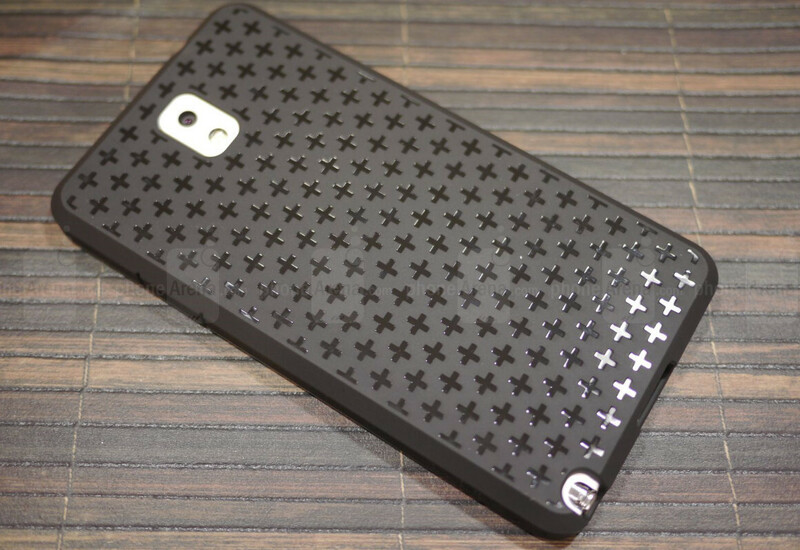 Anyone looking for good quality cases for the note 3 check out Case Fanatic. com a little expensive but very nice cases I ordered 3 cases for my phone nice cases spent 125$ for them but we'll worth the money and very stylish. I would really much rather see a review for the Neo Hybrid case and the Glas Tr for the Note 3 from Spigen, with a high quality phone we need to see reviews for high quality accessories.